Social Media: The New Protest Drums in Southern Africa? This chapter is an attempt to contribute an African, particularly Southern African, perspective on the role of social media during the Occupy Grahamstown (South Africa), the 20 July 2011 protests (Malawi), the 10 September 2010 food riots (Mozambique), the 1 April 2012 demonstrations in Swaziland, and the flash demonstrations by WOZA and Mthwakazi in Zimbabwe. 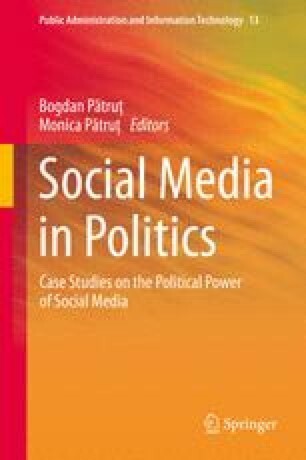 Using data drawn from 40 in-depth interviews with political activists in five SADC countries, this chapter argues that social media was used differently throughout the four phases (pre-demonstration, ignition, escalation and post-demonstration) of the protests. It demonstrates that in order to fully understand the Southern African protests, we need to look beyond the ‘demonstration effect’ of the North African revolutions, and focus instead on the demands for political, economic and social rights within each political context and how new media technologies including social media became entangled in these processes. The overriding argument is that the use of social network sites in these protests was far more complicated because of the multi-layered nature of the communication ecologies in each country, which meant that activists creatively appropriate the limited technologies at their disposal. The chapter argues that although Africa is the least connected continent to the Internet, pockets of resistance are beginning to sprout on social media platforms. It demonstrates that in flawed democracies, such as Zimbabwe, Malawi, and Swaziland, social media have become the ‘new protest drums’, creatively appropriated to convey, not merely warning signals but messages of indignation and discontent. It highlights the increasing interconnected relationship between offline and online activism. It also argues that in times of crisis, social media platforms present activists with an indispensable instrument for early warning, bypassing state media blackouts, disarticulating the official state propaganda, and passing on solidarity messages across space and time. In this study, ‘protest drums’ are equated to ‘talking drums’ which are traditional instruments which can be modulated quite closely, their range is limited to a gathering or market-place, and they are primarily used in ceremonial functions such as dance, story-telling, and communication of points to order. This study was made possible by generous funding from the Open Society Initiative of Southern Africa (OSISA) and the Highway Africa Chair of Media and Information society, Rhodes University. While their support is gratefully acknowledged, the views reflected in this chapter are of those of the author and not the funders. Gladwell, M. (2010, October 4). Small change: Why the revolution will not be tweeted. The New Yorker. Downloaded from http://www.newyorker.com/reporting/2010/10/04/101004fa_fact_gladwell.Retrieved on 23 November 2012.